It’s hard to believe Easter is next weekend! This year will be our baby boy’s first Easter, so I’m pulling out all the stops to make it a sensational one! I’ve had endless fun creating his basket (exquisitely monogrammed of course! ), and we are going to visit the bunny himself next week. We’re also hosting my family, and so I have been prepping the guest room with fresh linens and special soaps (welcome to Chateau Underwood!) and planning my tablescape. While admiring our wedding china today, I began to think of ways to add a new dimension to our dishes without buying an entirely new set. The answer? I find a fun way to weave in a burst of color and seasonal charm to a tablescape is through beautiful linens or decorative plates – think salad plates, chargers, and dessert plates. The beauty of this dear readers, is that you can still use your classic everyday china or fine china (any excuse to use the fine china!) and simply mix in these little whimsical gems. 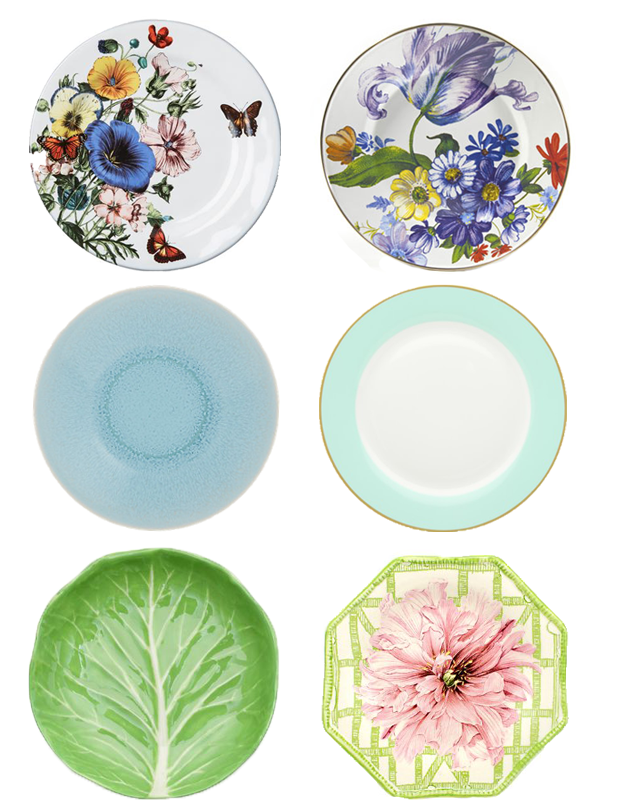 Here are a some lovely plates – my favorite being the Juliska – to delight and excite as you design your springtime table. Enjoy!